Alors que se poursuivent, à Ferguson (Missouri), les manifestations provoquées par la mort du jeune afro-americain Michael Brown le 9 août, Standard a rencontré à Oakland les affichistes engagés Melanie Cervantes et Jesus Barraza, héritiers des Black Panthers, mobilisés contre la violence raciste aux USA. Le musée d’Aquitaine expose les pochoirs de cette jeunesse chicana qui se bat à coups de slogans pour une « dignité rebelle » dans une Amérique où tout n’est pas noir ou blanc. Third Woman Press Collective (TWPC): Melanie, we know you’re really busy, and we thank you for joining us this week. Let’s start off by talking about your group, Dignidad Rebelde. Can you tell us a little more about it? Melanie Cervantes (MC): Sure! 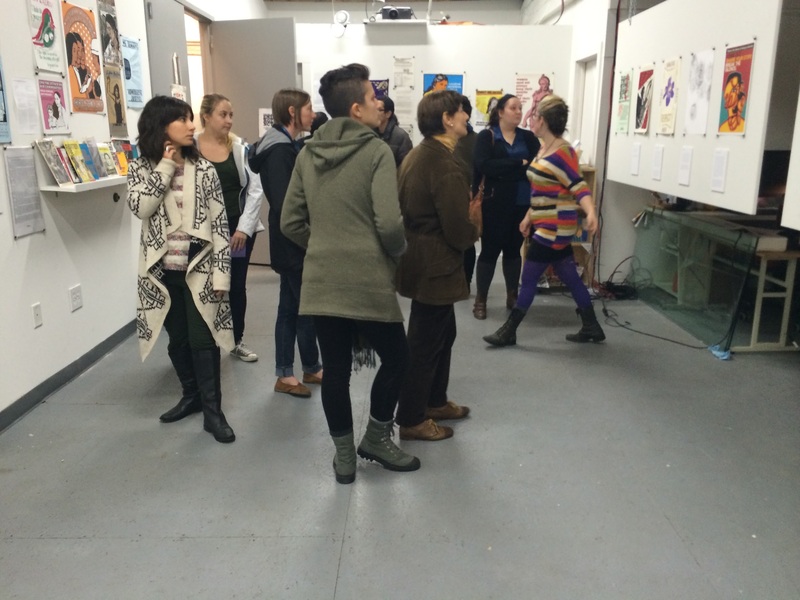 Dignidad Rebelde is a collaborative space for building community and producing art. We believe that art can be an empowering reflection of community struggles, dreams and visions. Following principles of Xicanisma and Zapatismo, we create work that translates people’s stories into art that can be put back into the hands of the communities who inspire it. 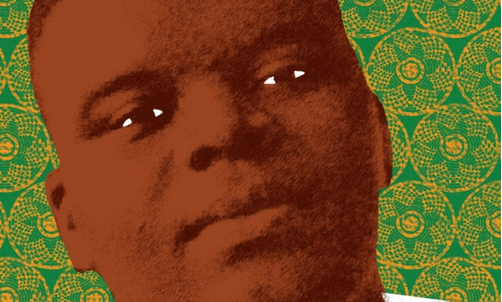 We recognize that the history of the majority of people worldwide is a history of colonialism, genocide, and exploitation. Our art is grounded in Third World and indigenous movements that build people’s power to transform the conditions of fragmentation, displacement and loss of culture that result from this history. Representing these movements through visual art means connecting struggles through our work and seeking to inspire solidarity among communities of struggle worldwide. Membres du collectif Dignidad Rebelde à Oakland (Californie), les deux graphistes, qui revendiquent leur identité chicano, sont bien contents de « partager cette image avec le monde » à travers l’initiative de l’Humanité. « Faire de l'art, ça aide à se dire qu’on n’est pas totalement impuissant, qu’on participe nous aussi à la lutte », considère Melanie. Comme quelques autres, cette affiche est librement téléchargeable sur leur site internet pour que les militants et les sympathisants puissent les mettre aux fenêtres ou les faire circuler dans la rue. Mais voici quelques autres images envoyées par Melanie Cervantes. But the message would be a bit hollow if the production was not also looked at as potentially activist or political, right? 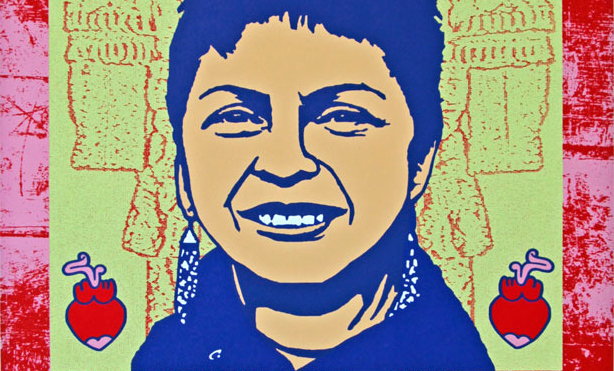 The message of a political poster, for example Melanie Cervantes’s Brown and Proud, pictured, is political because it relates to the autonomy of a group of people. This example is out of Dignidad Rebelde, the graphic arts collaboration between Oakland-based artist-activists Jesus Barraza and Melanie Cervantes, who “believe that art can be an empowering reflection of community struggles, dreams and visions,” and who “create work that translates people’s stories into art that can be put back into the hands of the communities who inspire it.”*** The making is political because it comes from a 100-year-old printmaking tradition where individuals or groups create a work that urges liberation, made in a non-exploitative way, via collective process while poaching the tools of industrial mechanics like screenprinting, graphic design, and photocopying. Melanie Cervantes presented to the audience her philosophy of activism through craft, centered around “stitching lessons from stories and visions of women who shaped who we are.” A member of Dignidad Rebelde (rebel dignity) she spoke of the group’s founding motivation to push back against the idea of individualism that is dominant in US society and culture. How? 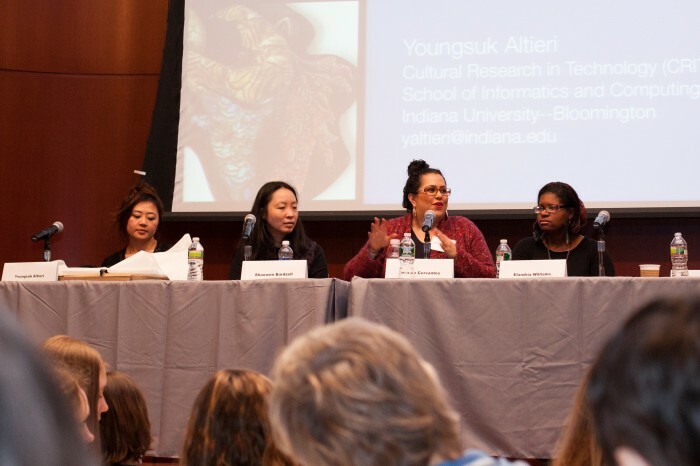 By reflecting solidarity with indigenous and international struggles through images that “agitate and inspire,” produced in her living room and reaching organizers and activists as far away as Bangkok. 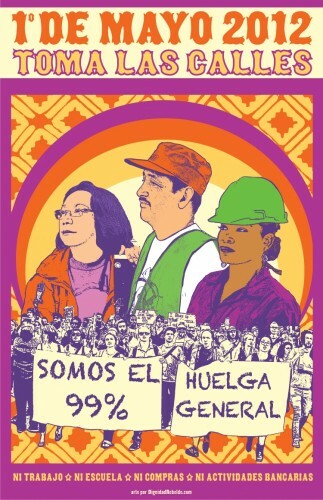 Reacting to day laborers’ inability to be the face of their own movement because of being “vilified” in the minds-eye of greater America, she makes images that re-incorporate and re-present the faces of those “on the frontline of a battle for dignity and human rights for all of us;” faces otherwise subsumed by a narrative over which they have no authorship. 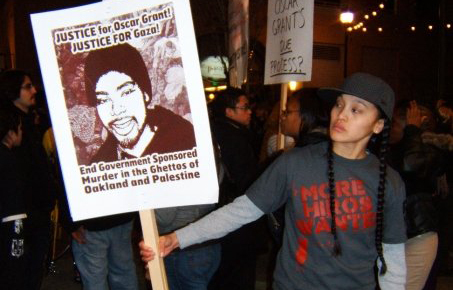 If it is true that there has never been a movement for justice without the arts, and I believe it is, then the recent history of movement building in the Bay Area exists in part through the work of Melanie Cervantes and Dignidad Rebelde, the collaborative project of Cervantes and Jesus Barraza. 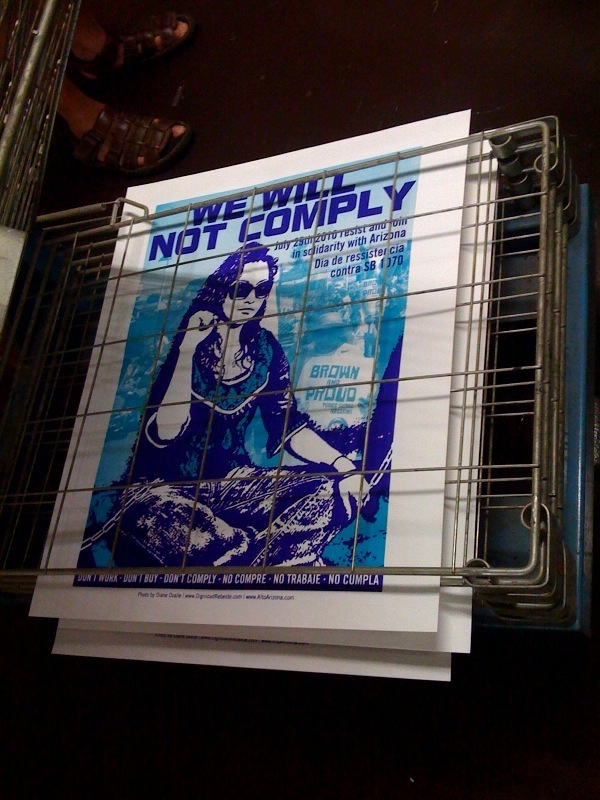 If you have ever attended a protest in the Bay Area organized by a coalition of social justice organizations and activists or the Occupy movement, you have seen their work: bold digital and screenprints depicting community members demanding justice and accountability, and telling the story of their struggle and resistance in their own words. Since 2005 they have created a prolific amount of posters illustrating the demands, successes, struggles, and resiliency of communities of color, immigrants, poor people, and those who continue to fight for self-determination in the face of state repression. These posters bring awareness to issues of immigration, the prison system, the history of colonization, and gang injunctions, and are created with and for those most impacted by the issues they depict. Cervantes and Dignidad Rebelde are, in so many ways, the face of the recent uprisings, or as some of us often say, the revolution. OAKLAND — It was too late for San Leandro couple Melanie Cervantes and Jesus Barraza to stop the presses by the time a federal judge on Wednesday blocked some of the key provisions of SB 1070, the Arizona law meant to crack down on illegal immigration in that state. 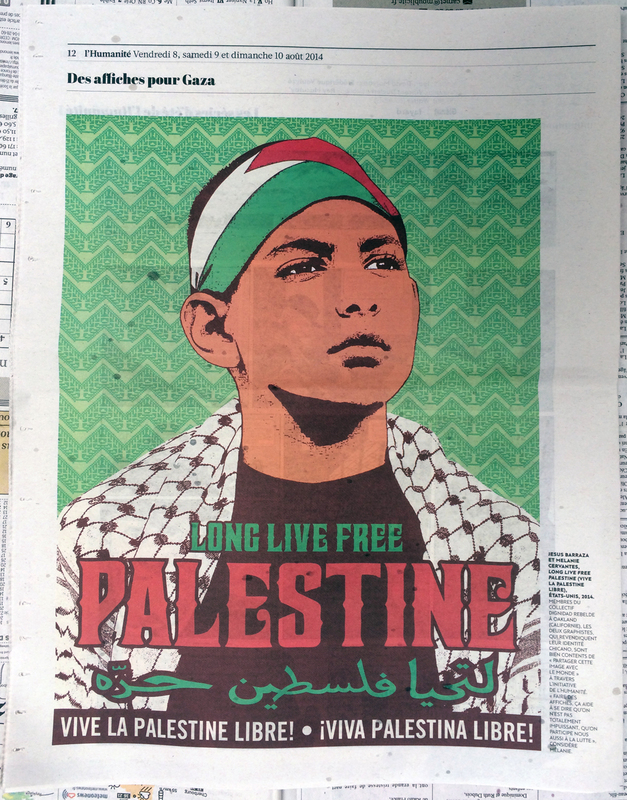 The artists spent hours in their East Oakland studio designing bright anti-1070 posters that carried messages such as “We Will Not Comply” and “Brown and Proud.” Barraza sent 2,000 of the posters from the East Bay to Arizona on Wednesday morning so that they can be used by protesters there Thursday, when the law takes effect. 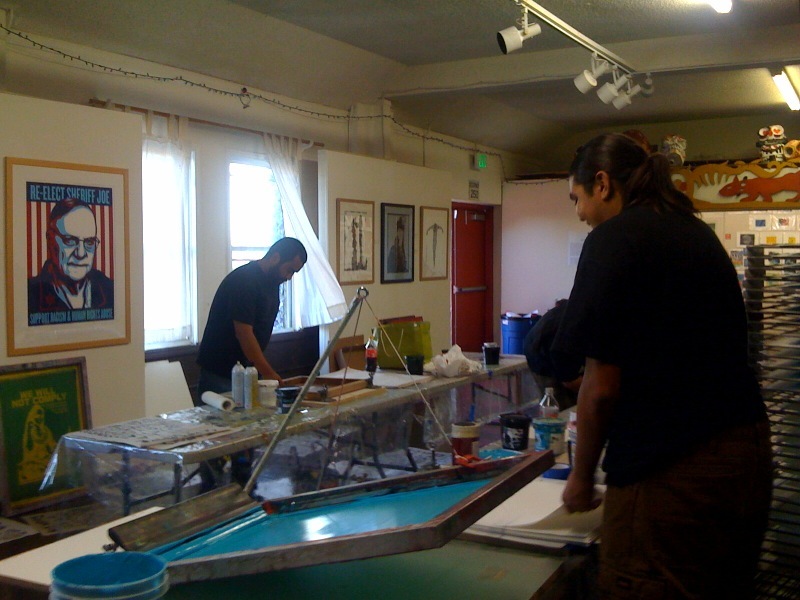 But even today, screen-printed posters are still created at workshops in San Francisco, Chicago, Portland and Minneapolis. Much of the work is still collaborative and community-based, as a recent example by Oakland's Jesus Barraza and Melanie Cervantes demonstrates. Silkscreening may never die, but if history is any guide, it will probably be forgotten. Here's looking forward to the next Renaissance.